AUSC President's Open Congratulatory Letter to the nurses and Midwives Students' association of Rwanda (NMSAR) 1st General Assembly. 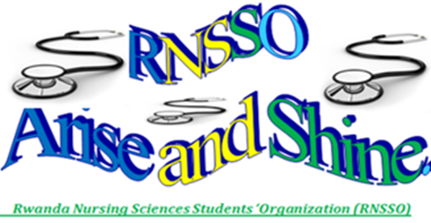 RWANDA Nursing Sciences Students ' Organization (RNSSO) "Arise and Shine "
Re: Congratulations and Call for Partnership. 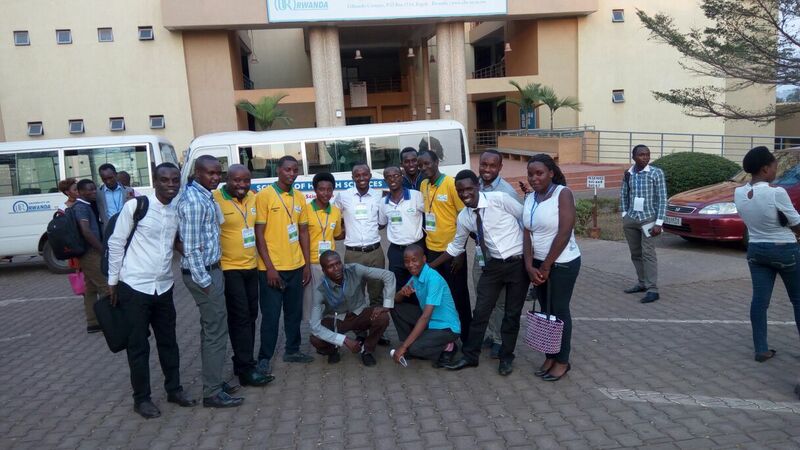 I am writing on behalf of the Rwanda Nursing Sciences Students' Organization(RNSSO) partnering with the African Union Students' Council to congratulate you for having mobilized nurses and midwives Students in Rwanda to Associate with the new Association Nurses and Midwives Students Association of Rwanda (NMSAR). 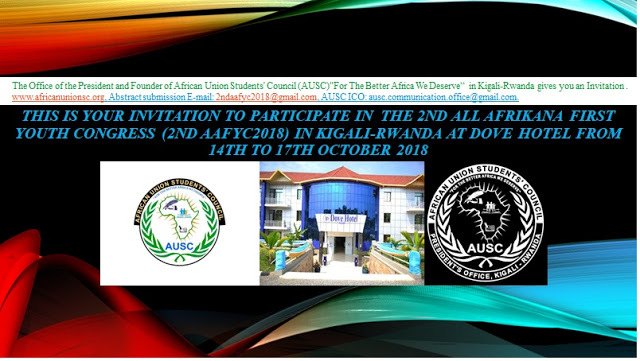 This is a great pleasure for RWANDA Nursing Sciences Students' Organisation(RNSSO) being a partner to the AUSC and as a Non Governmental Organization(NGO) Now becoming very exciting to work with your association, and promote together the Nursing Education in this country of Rwanda. 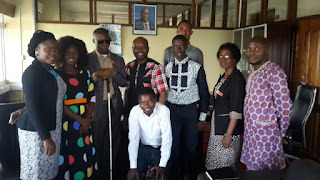 Therefore, executive committee of RNSSO welcomes the NMSAR for a strong partnership with Rwanda Nursing Sciences Students' Organization (RNSSO) "Arise and Shine " Associate Member of the Commonwealth Students Association (CSA) "Fraternity " through its RNSSO Academic Development Department (ADD) to successfully support the Nurses and Midwives Students Association of Rwanda (NMSAR) to overcome different challenges this Profession of Nursing Sciences has been envisaging during the transition from Traditional Nursing to Modern Nursing, and focussing on taking the voice of Nursing Sciences Students in this Country of RWANDA to the maximum possible if Advocacy for Main Health issues in Nursing Sciences Career ,Research and Education . Moreover, the alumnae of the NMSAR will be easily allowed to join any of RNSSO advanced Departments: RNSSO Partnership and Networking Development Department (PNDD) and RNSSO Financial Development Department(FDD). 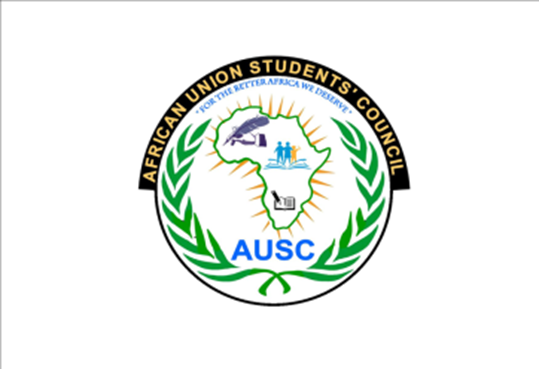 President of African Union Students'Council (AUSC) "For The Better Africa We Deserve "
Founder and Executive President Of Rwanda Nursing Sciences Students ' Organization (RNSSO) "Arise and Shine "/Associate Member of The Commonwealth Students Association (CSA) "Fraternity ". 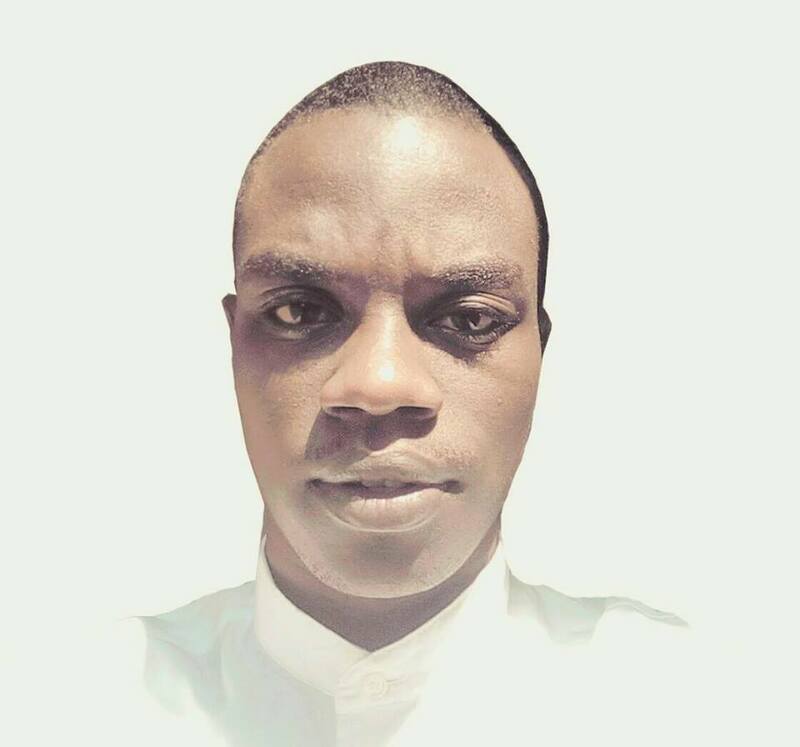 Patron for Advisory Committee for federation of African Nursing Sciences Students' organizations(FANSSO)"Together In Nursing "
CC:- RNSSO Board and Members.